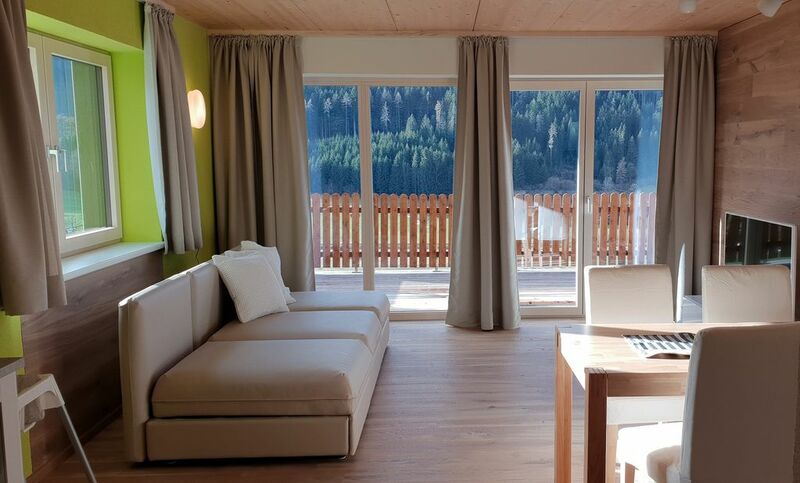 The brand new and super modern holiday bungalow is fully equipped and measures 82m². The highlight is the large sun terrace, which extends over a bedroom and the living room. It offers a breathtaking view of the mountains and forests of the region. In Spital am Pyhrn, only 3km away, you will find all the amenities you need for a pleasant stay. The Pyhrn-Priel AktivCard will be provided free of charge during the summer season. The two bedrooms, the spacious living room, the kitchen and the garden and the private heart of the bungalow, the spacious sun terrace, invite you to linger. For children we offer a children's playground with slide, swing and climbing tower. Teenagers as well as cool parents and friends will find our new Smart TV incl. Netflix available, ideal for a rainy day or a cozy TV evening. The kitchen is fully equipped and offers all utensils for a relaxing evening of cooking. Towels and bed linen are provided free of charge. The accommodation can accommodate a total of 6 persons. In the two bedrooms there are double beds, in the living room a sofa bed, on which 2 more people can spend the night. Bathroom with toilet, shower, mirror, sink and towels and soap.